Specifically formulated to combat collagen breakdown and moisture loss in mature skin. This light, rehabilitative cream provides powerful firming and replenishes moisture with emollients – perfect for skin depleted by the ravages of time. Signs of aging in mature skin are the result of three factors – dehydration, collagen breakdown, and free radical damage. Face Cream contains targeted botanical ingredients specifically formulated to counter these advanced skin care concerns. Once or twice daily apply to the face, neck, and chest. Follow with a moisturizer and sun block. Aqua / Water / Eau Dimethicone Glycerin Nylon-12 Steareth-21 Dipropylene Glycol Alcohol Denat. Boron Nitride Ammonium Acryloyldimethyltaurate/Vp Copolymer Helianthus Annuus Seed Oil / Sunflower Seed Oil Phenoxyethanol Vitis Vinifera Seed Oil / Grape Seed Oil Tocopherol Bis-Peg/Ppg-20/20 Dimethicone Sesamum Indicum Oil / Sesame Seed Oil Glycine Soja Oil / Soybean Oil Caprylyl Glycol Propylene Glycol Polyacrylamide Dimethiconol Sodium Benzoate C13-14 Isoparaffin Dimethicone/Vinyl Dimethicone Crosspolymer Pentaerythrityl Tetra-Di-T-Butyl Hydroxyhydrocinnamate Silybum Marianum Extract , Laureth-7 Biosaccharide Gum-1 Glycine Soja Protein / Soybean Protein Cucumis Sativus Fruit Extract / Cucumber Fruit Extract Cananga Odorata Flower Oil Anthemis Nobilis Flower Oil Linalool Pelargonium Graveolens Flower Oil . As a 42 year old woman that used poor judgment about using sunscreen in her youth, I can tell you I have some significant skin issues along with premature aging. I've tried many, many products and NOTHING compares to this product. I was using various serums, day and night creams to using this one product. My skin went from a lined, crepe-paper texture to MAGNIFICENT in a matter of weeks. I will NEVER stop using this product. It is worth every penny. I've used this product for the last 6 months now and can honestly say that it hasn't done much for my skin. For the high expensive price you can fair much better with some of the other skin products such as the M.D Forte line. And the only reason why I switched over from M.D Forte is because it is very hard to find in my area. Im so glad to have found this store online!! I am now switching back to M.D Forte. They are much cheaper and do the real job! 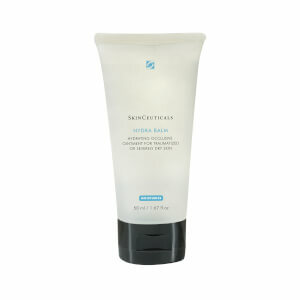 I have been using skinceuticals face cream for one year and it is fabulous!! Within two months the wrinkles and aging was decreased dramatically!! Thanks!! I am 42yrs and now my face doesnot show it! Yeah! !